When a tarot-card is being drawn it opens the door to a possible future. It gives us a clear idea of what might happen but not what will probably happen. Which means that it is up to us to make our choices. Never forget, it is up to our free will to make things happen! A NEAR FUTURE DRAW LEADING UP TO THE COMING 12 MONTHS: THUS AIMING TO INFLUENCE YOUR DESTINY? THE RESULTS OF THE ONGOING CONSULTATION ARE BEING CONFIRMED BY ANOTHER TECHNIQUE. The multilingual (French, English, Italian and Spanish) consultations last approx. 1 hour 30 minutes and cost CHF 200.-. THE STORIES BEING TOLD, SPECIFICALLY THOSE YOU ARE TELLING YOUR CHILDREN ARE SO CALLED “METAPHORES, WHILE DOING SO YOU ARE TAKEN IN BY THE STORY AND SORT OF HYPNOZISED BY THE PERSON AND WHAT SHE/HE TELLS YOU. So finally you understand better the word and meaning of “HYPNOSIS”, there is absolutely no reason to be afraid of it…. Even more, never forget that a person who does not want to be hypnotized can’t be hypnotized! Which means that if you are hypnotised by the voice of your therapist, you really up to it and wish it. Otherwise, it wouldn’t be possible! 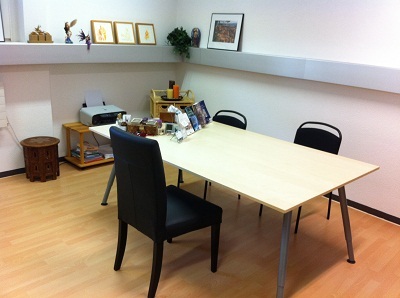 Nina offers Hypnoses consultations for adults and children (above seven years of age) in Montreux. She has a diploma from the National Guild of Hypnotists in the US and is a loyal member of the Swiss Association of Hypnotist Practitioners. Hypnosis is a very effective technique used for “coaching”, personal development, weight loss, tobacco addiction, pain relief, regression, etc. A consultation lasts up to 1 hour and 30 minutes and costs CHF 200.-. A Tarot consultation helps to establish the present situation and to optimize it during a hypnosis consultation. At the end of each consultation, Nina offers you a picture of your aura to evaluate the changes. Thus taken by a scientific camera imported from the US. To start out a Tarot consultation to establish the present situation, followed by a hypnosis session attended by both husband and wife to ameliorate the stated problems. At the end of each session, Nina offers you a picture of your aura to evaluate the changes and to establish whether you are a “complementary or more into fusion as a ” couple. Thus taken by a scientific camera imported from the US. To start out, a karmic Tarot consultation is being held to establish the present situation and then followed by a regression hypnosis session to access an anterior life span and enter other lives to work on your spiritual evolution. Nina offers you a picture of your aura to evaluate the changes. Thus taken by a scientific camera imported from the US. Would you like to get an appointment?